Heading on holiday? Our competition will have you feeling summery from top to toe. Whether you’re sunning your tootsies along the Costa del Sol or giving ‘em a wiggle in Whitstable - we want to see them flip-flopping on our feed! 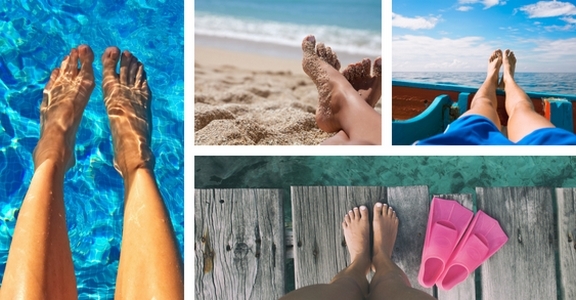 Simply take a photo of your holiday toes and post it on Facebook, Twitter or Instagram. Use the hashtag #ClickstayPhotoes, tag @Clickstay and follow or like our social media channels. Our favourite ‘photoe’ will win a £100 Clickstay voucher. Open to all UK residents over the age of 18. All entries must be authentic, new posts and shared on your own Facebook, Instagram or Twitter page between 9am on Monday 16th July 2018 and midnight on Monday 3rd September 2018, with @Clickstay and the hashtag #ClickstayPhotoes to be valid for entry. Entrants must also follow or like at least one of the Clickstay social media channels (Facebook, Twitter and Instagram). The competition will be open from 9am on Monday 16th July 2018 and midnight on Monday 3rd September 2018. The winner will be chosen by the Clickstay panel by Friday 7th September 2018. The winner will be displayed on the competition page and contacted via social media. By participating, entrants agree for their photographs to be used in media activity by Clickstay. Prize is a £100 Clickstay voucher and is non-transferable or redeemable for any cash alternative.